£50 Bond Deposit Required Per Booking. This is Refundable Once Verification That Caravan has Been Left As Found With No Breakages! Balance of Booking to be paid 6Wks Before Dates Of Holiday , If Not Dates will be Re- Advertised & Bond Deposit will Not be Refunded. 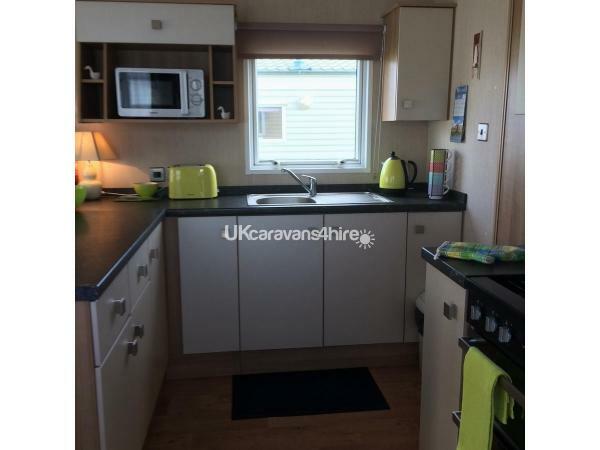 This beautiful ABI 6 berth has ample room to accommodate 6 people close to on site facilities. The caravan features an enclosed veranda to side and front with furniture perfect and safe for children to play safely. Our caravan is located on the coast nestled in between Scarborough and Filey. There is lots to do on Cayton Bay for all ages with Parkdean providing some great facilities and entertainment. Linen included, passes can be bought from reception, access to the holiday home using code for security box so no long queue at reception. Returned on Saturday after another brilliant 2 week stay at Cayton Bay. As others have stated Norma & Colin were brilliant in communicating with us making sure everything was ok. Brilliant caravan,great heating,shower and the most comfortable bed we've ever slept in,loads of spare quilts and spotlessly clean. Carlsberg dont make caravans,but if they did,they'd make one like this :-). Thanks again Norma & Colin. Had a fabulous time at Cayton bay, caravan was immaculate could not fault it. The site was looked after very clean, the caravan was situated not far from the main club house and facilities so not far to walk. The beach was a 10 minute pleasant walk away Norma has been amazing kept us up to date with everything , and very friendly, so pleased to have booked with Norma and Colin. Norma was fantastic, helped us in every way possible with impeccable customer service. Location of the caravan is brilliant, kids enjoyed watering the plants. We had a great time and would definitely stay in the accommodation again. A small peice of constructive criticism, new pans are a must I bought one whilst I was there and left it for the next tenant as the originals didn't look appealing. We have just got home from a 3 night stay in Norma and Colins caravan. They are a lovely couple and communicate very well. The caravan was perfect very clean and spacious will definitely use again thankyou Jean and Andy. Amazing week in the caravan. Had everything you would need even if you had children with you. Good location on park. Great service from the friendly owners too, will definitely be back! 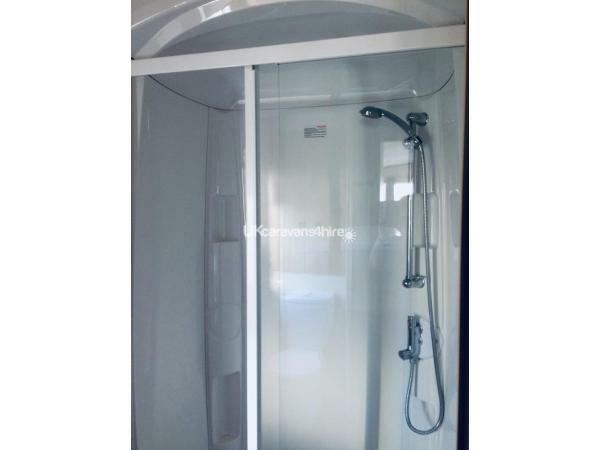 The caravan is spacious, very comfortable warm and clean. A bonus was that the beds had been made up for us. All crockery cutlery pots and pans were immaculate, and there were many thoughtful extras which were very welcome. A paved pathway took us straight to where our car was parked (near the caravan),and was much appreciated when the wet grass had been cut.It saved the grass being trailed into the caravan. The entertainment centre was a short walk and there was plenty of parking if you took the car. We had a thoroughly enjoyable holiday and hope to return next year. Highly recommended. Thankyou Norma and Colin. Wonderful, cosy, comfortable caravan. Visited for Easter weekend and found the caravan immaculately clean. Honestly cant apply any negatives as I never found anything which could be improved upon. Thanks to Norma & Colin who were extremely helpful and friendly making the experience all the more relaxing & enjoyable. My little boy had a ball! Would definitely love to visit again in the future. 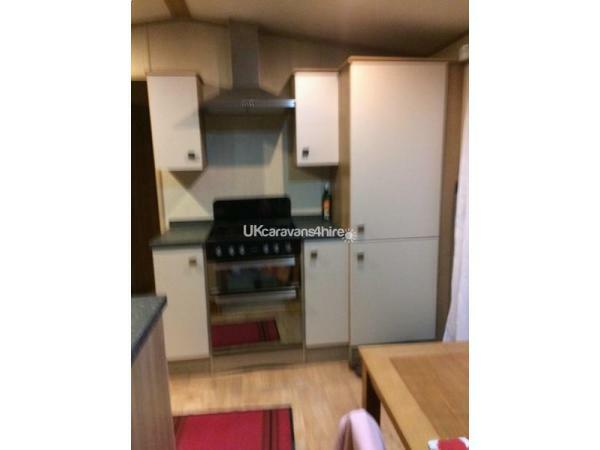 Lovely caravan lots of thought to detail for example coat hooks, mats, clothing airers. Only thing that could be improved for us was the grassed area outside would have benefitted from some pacing as it was muddy (however it also was February). Thankyou Mark & Family for your Review. 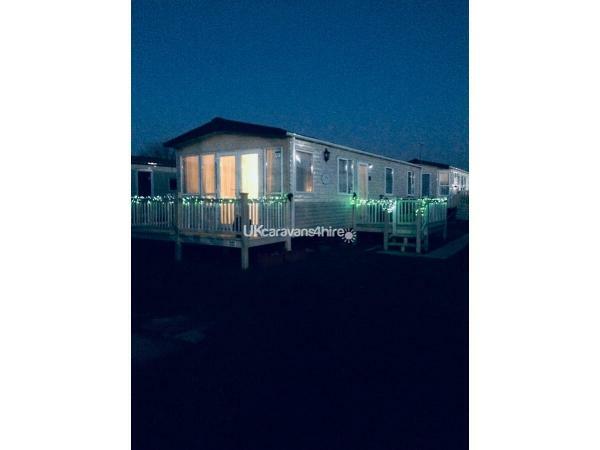 We are pleased that you all Enjoyed Yourselves at Cayton Bay & Very Pleased that you were Comfortable in our Caravan, we aim to provide as near as possible a Home from Home Environment ! Your Comments regarding the Lack of Path (in Muddy Conditions) are completely Valid , unfortunately we have been waiting for Planning Permission to lay Slabs since November. This will be chased up ASAP. We hope to see you All Again !